It is known that politicians rarely think beyond the next election. Similarly, it is getting increasingly clear, through the current changes in higher education in general and artistic education in particular - that the value of thinking in a longer perspective is on the wane here as well. However, it is rare that artists address these issues and extremely uncommon that someone does so in an intelligent and aesthetic way at the same time. For his degree show Pablo Sacristan at Gallery Meijan entitled "Shameful Gambit," he approaches these issues with knife-sharp accuracy - mixing humour with intelligent criticism. 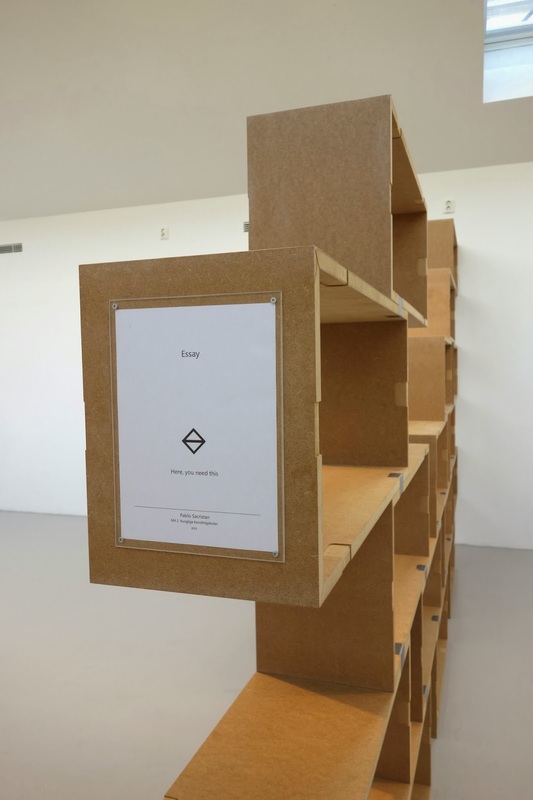 By creating an IKEA-like structure in the gallery, donating the whole idea to the Royal Academy for Fine Arts (where he will graduate this year) and at the same time displaying the papers that explain what he needs to write for his MA thesis text. He shows the absurdity of the situation without a trace of being moralising. 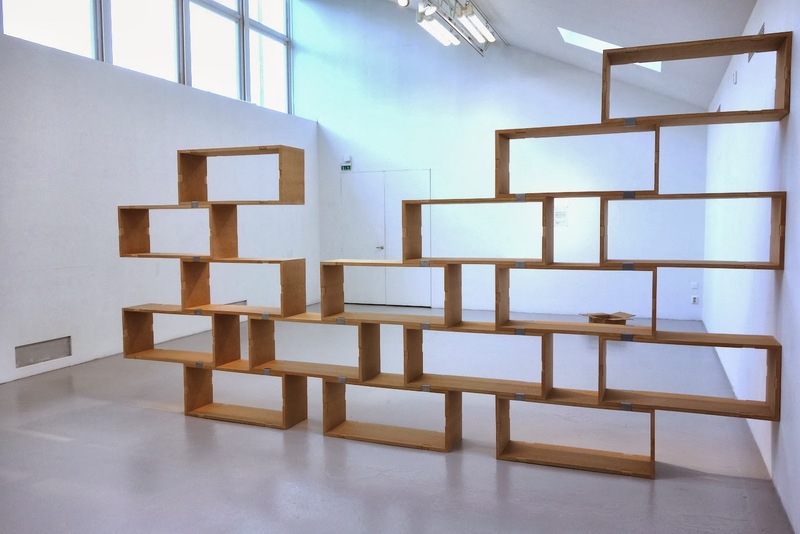 The structure is a module for storing future MA theses, thus forcing us to imagine all the future artists that will be subject to the short horizons of the current political/educational climate. The genius of the piece is an a4-sized sheet on the short end of the structure, where it reads "Essay, Here you need this" rendering the work a sharp commentary on the culture of "the meaning of this piece is..." that is so prevalent in the art world. There is a bonus outside the entrance which is very easy to miss (I did). The gallery is located a stone throw away from the main entrance of Moderna Museet. 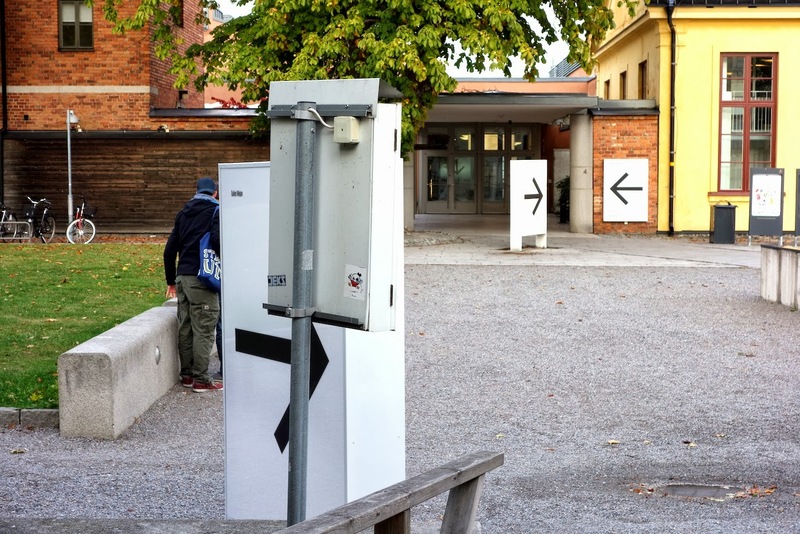 The museum has for years used big white signs to help visitors to find its well-hidden entrance. Sacristan has made an exact copy of the sign pointing to his show. And when I see him (and the sign) he swears that it helps him to attract many extra visitors. Lets see if the Academy makes it a permanent installation.